Between packing, finding flight or train routes, arranging accommodations, locating someone to watch your pets and water your plants and all the other 10,000 details that go into business and pleasure trips, it’s a wonder anyone goes anywhere at all. But one question that pops up a lot during trip planning is whether or not to purchase travel insurance. On the one hand, it’s hard to put a price tag on peace of mind that comes with knowing you’ll get some or all of your money back if your travel plans go awry. On the other hand, travel insurance does come with an actual price tag — and an expensive one at that. So is travel insurance a must-have or is it worth the risk to pass up? Here’s how to tell whether it’s worth it to buy travel insurance for your next trip. Before we dive into the pros and cons, let’s take a look at the most common options that travelers can buy individually or as part of a comprehensive package. If you get sick or injured while traveling outside the U.S., your health insurance, including Medicare, may not cover any treatment or medication you receive (be sure to check with your insurer before you leave). In the event of an emergency, you can contact the local embassy to locate appropriate medical services, but the State Department will not help pay your medical bills. Emergency medical insurance provides a safety net to help you pay unexpected medical bills that could add up to hundreds, if not thousands, of dollars. Every traveler worries they’ll be parted from their luggage at some point during their trip and end up wearing convenience-store flip flops and their travel companion’s underpants. Luggage insurance won’t get your bags back to you any faster, but it will reimburse you for the money you spend buying replacement clothing, toiletries and medication. It’s difficult to think about something tragic happening while traveling, but unexpected things can occur. Accidental death insurance is similar to a life insurance policy and pays out benefits to your designated beneficiary. From flight delays that cause a missed connection to resort reservations caused by a hurricane, there are so many things that can cause your trip to be delayed or cancelled. Some policies also cover circumstances that cause you to have to cancel your trip. Trip cancellation or interruption insurance typically reimburses you the the cost of your travel expenses if your trip is cancelled or the cost of return tickets home if your trip is interrupted. 1. If your itinerary involves a lot of flights and stopovers, each one is a potential fail point. 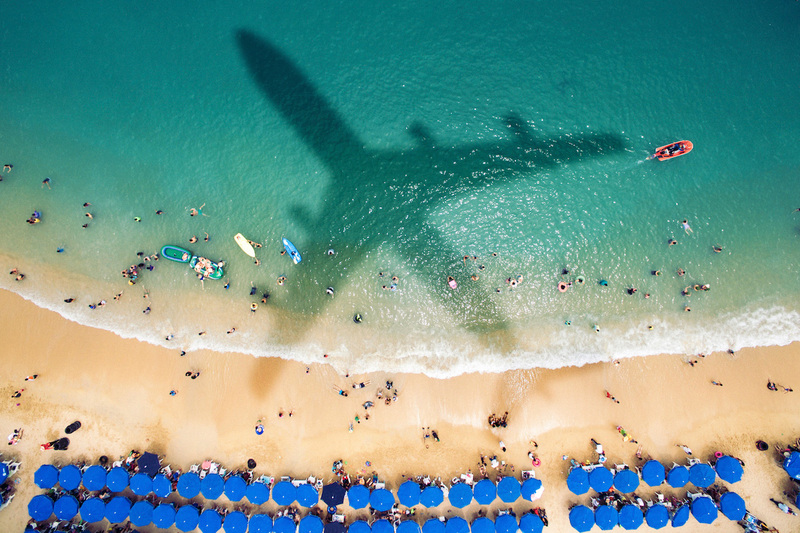 A nonstop flight to an all-inclusive Carribean resort in the springtime is less of an an insurance risk than a month-long tour of Europe with 12 destinations during the height of blizzard season. 2. If you’re headed someplace where there is civil or political unrest, travel insurance is a good idea. A lot can happen between the time you make your reservation and when you get where you’re going. The situation could become more volatile, your accommodation reservations might be cancelled or travel to the area could be restricted before you leave. In a worst-case scenario, you may need a non-medical emergency evacuation to take you to safety. If you’re buying travel insurance under this scenario, be sure to read the fine print to make sure your policy specifically covers war and civil disorder. 3. Sometimes the best reason to buy travel insurance is if you won’t be able to relax on your trip without it. If worrying about something going wrong will overshadow your entire trip and keep you from enjoying yourself, spring for the coverage to ease your mind. 1. You may be able to skip travel insurance entirely if you have a credit card that offers it as a standard benefit to customers. 2. All travel insurance policies are not created equal and some may not include the type of coverage you want or need. For instance, a travel insurance policy that only covers lost luggage is probably not worth it if you only travel with carry-on bags. 3. It’s usually not worth it to buy insurance for short, inexpensive domestic trips. One exception is if you’re traveling to a location that could be affected by a hurricane or other predictable event of nature (like an active volcano!) in the timeframe you plan to visit. Just make sure your policy covers natural disasters. Many tour and cruise companies, travel agents and travel booking websites offer travel insurance to their customers. Though one-stop shopping is efficient, it may not be your best bet. “Instead of buying a policy through a travel agent or booking site, go to an online broker such as InsureMyTrip.com, which sells coverage from 21 carriers,” recommends Consumer Reports. If you decide to use your travel agent, “keep in mind that these folks often get a commission, increasing the cost to you, and you may be limited to only the options they have instead of the coverage you need,” says USA Today. Lisa McGreevy is a staff writer at The Penny Hoarder. She’s tempting fate by admitting she doesn’t buy insurance when she travels, but she’s a risk-taker like that.